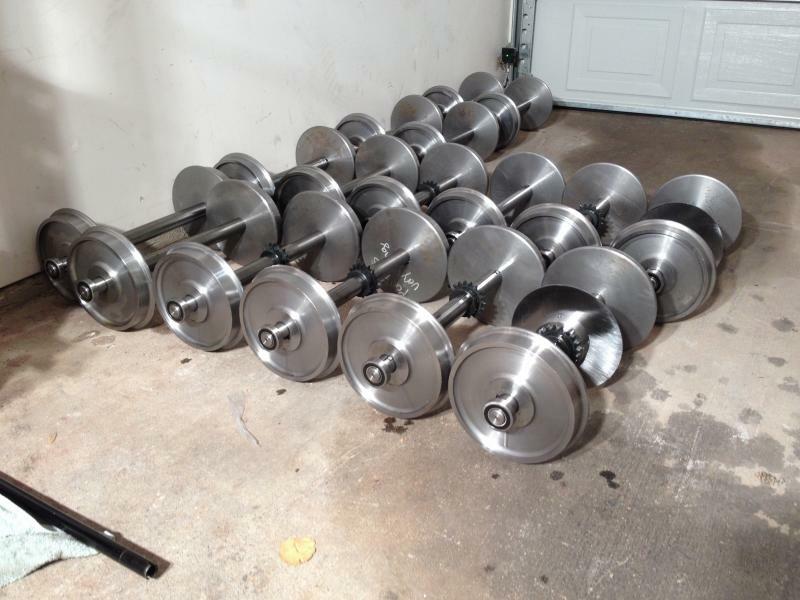 We have lots of orders for trains, wheels, axles and full trucks right now. Our CNC shop is busy cutting out wheels and axles, and the Laser shop is cutting out the truck frames. The more we do, the better price we get. 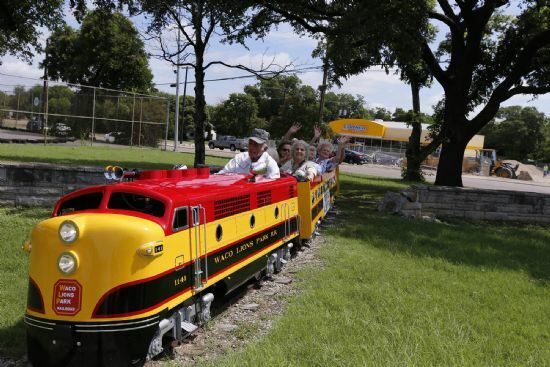 Our Trains are the perfect addition to Pumpkin Patches, Petting Zoo's, Family Fun Farms, City Parks, Shopping Malls, etc... Don't see what you want? Ask us to build it for you! Our imaginations are only limited to your budget! Coming Soon.... 3" Scale Passenger Gondolas, and Center Cupola Cabooses! Full Freight Trains Available! We are running a special on trucks right now! Our new truck at an introductory price! 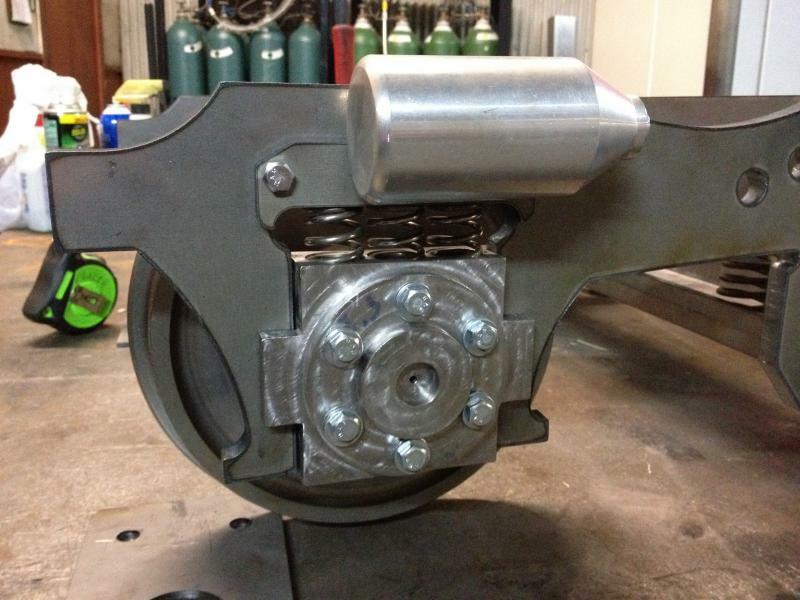 Driven Truck Option (includes keyed axles with sprocket and keyed wheels, NO MOTOR... 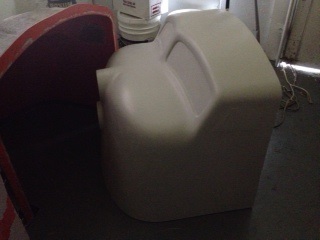 However, you supply the motor and we will make the custom bracket***Call for more information) for $250. 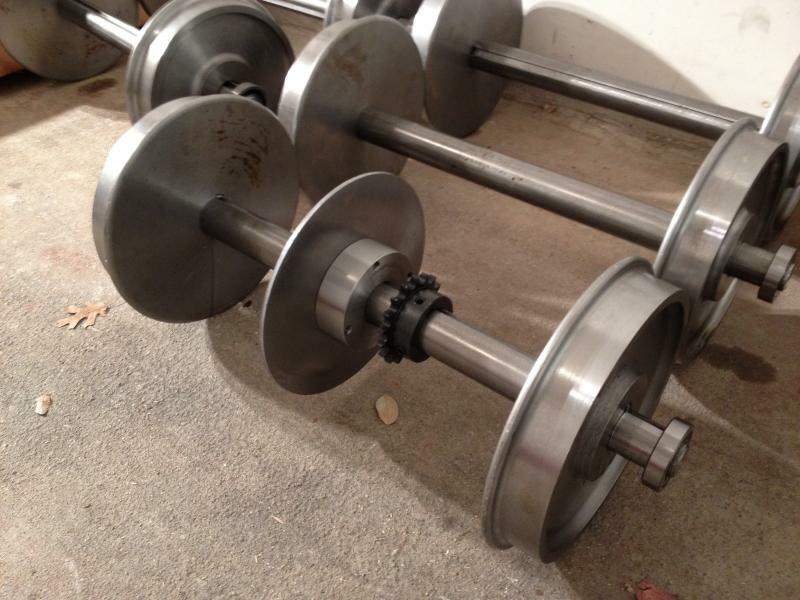 Place your order soon as we are ordering materials and making a run for the trains under construction as well as for customers that have ordered wheels and axles... These prices can only be offered in batch quantities. See our ad on Discover Live Steam for more Details! Still have some detailing to do! 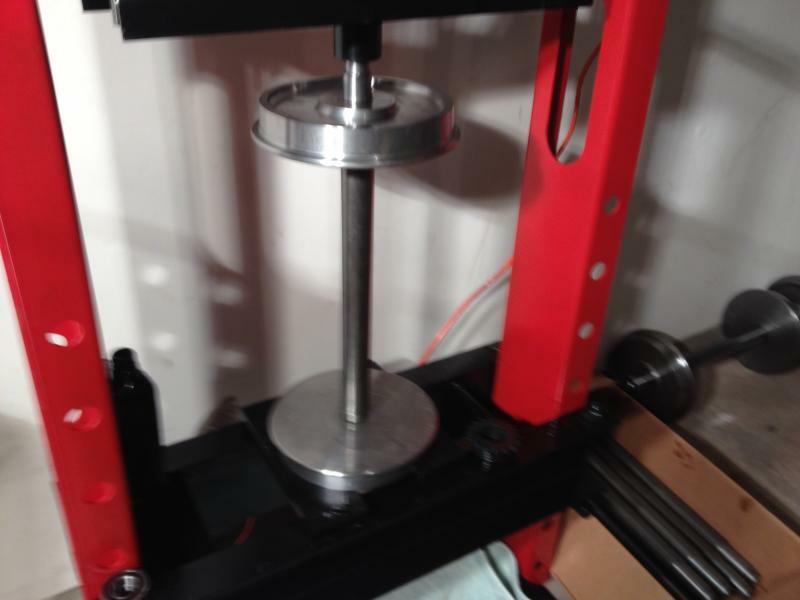 Swing hanger to be added, and rods to add to the cylinders. 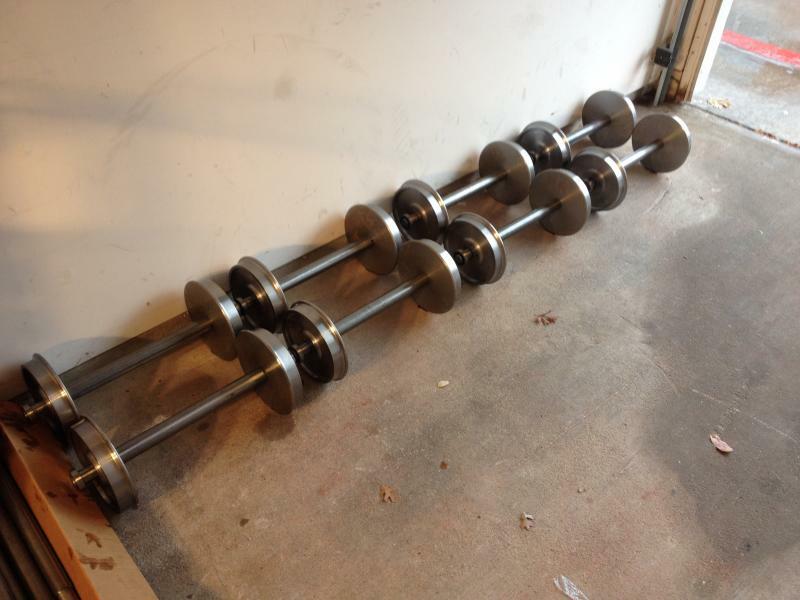 The elliptical is real, however, we will be adding some faux spring plates on top to achieve the "real looking" stacked spring appearance of the elliptical. The main truck assembly is welded for stability, and the side frames and spreaders have been notched to make sure the assembly can be welded square. 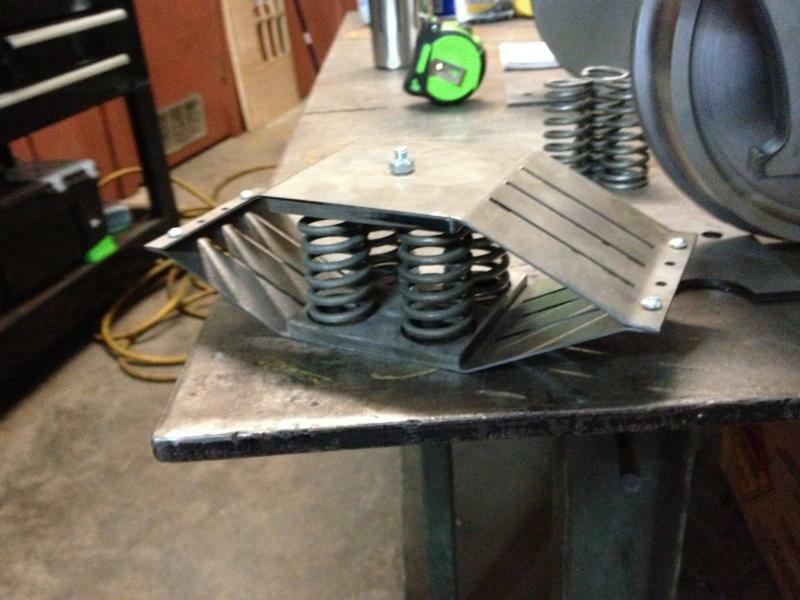 Bottom support tray is made from custom cut .25" plate and precision bent to give it the strength of channel iron. 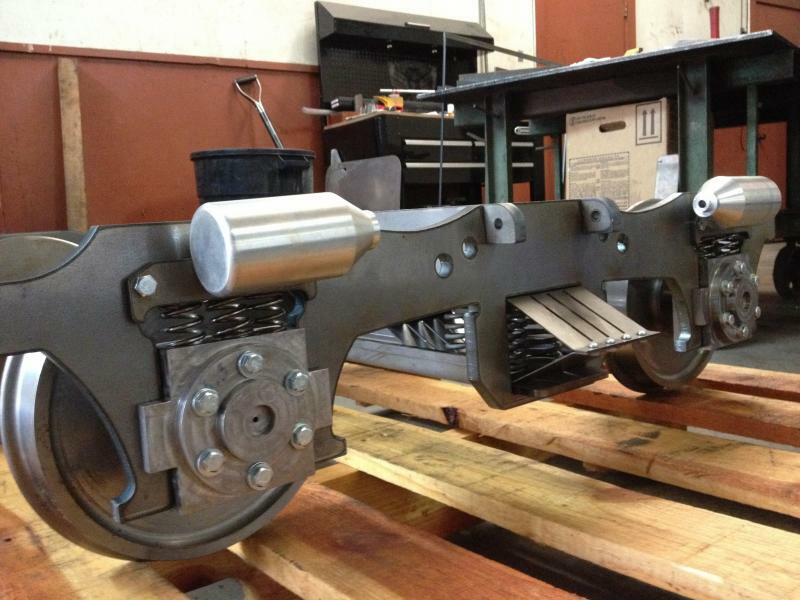 The latest photo shows the power axle with 18 tooth sprocket and axle mounted brake disc. The wheels are also broached and keyed to insure they won't slip while pulling. 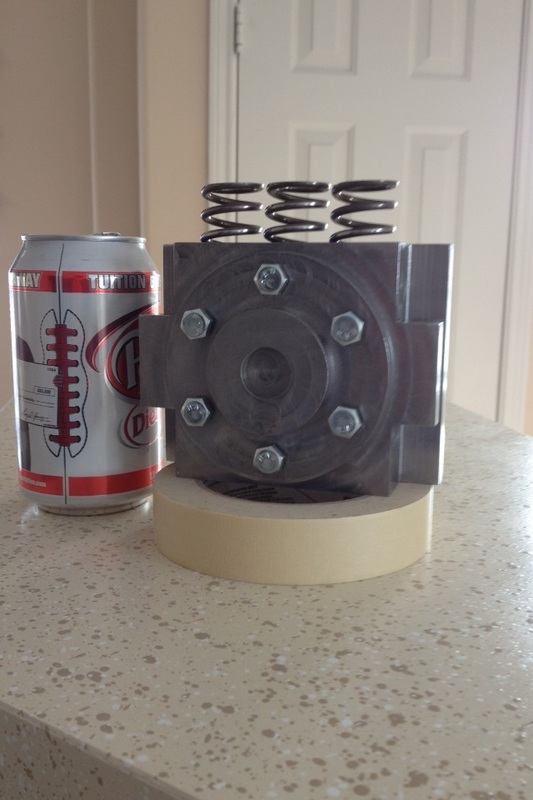 Below is our newest improved CNC Machined Part. 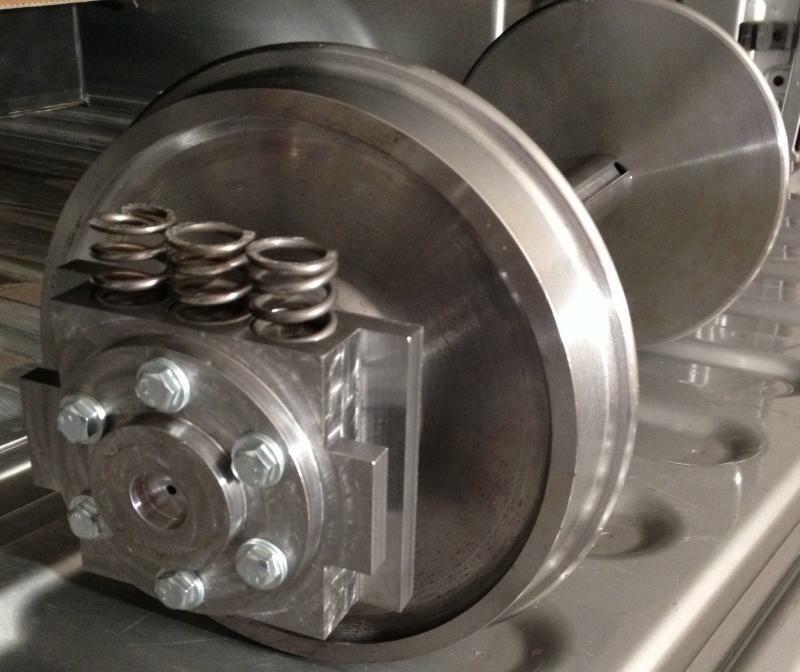 These new journal boxes were made to accomodate our new larger axle and 2" OD bearings. 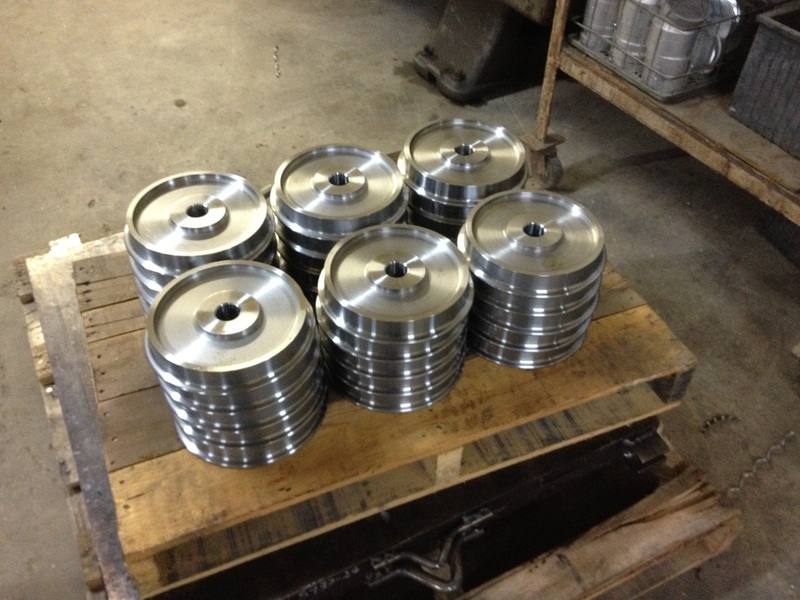 32 of our 8.25" diameter Wheel on the pallet ready to go! 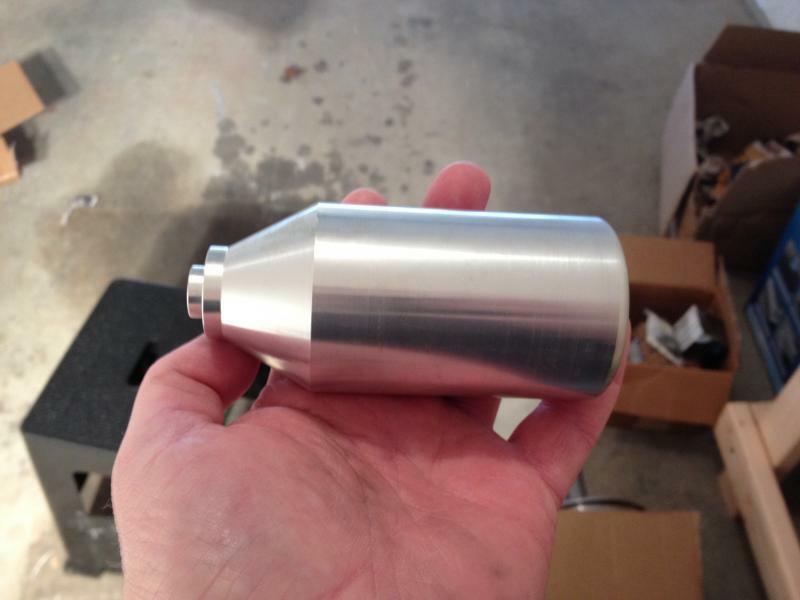 New "Dummy" Air Cylinders... These are going to look great on newst edition of our trucks! 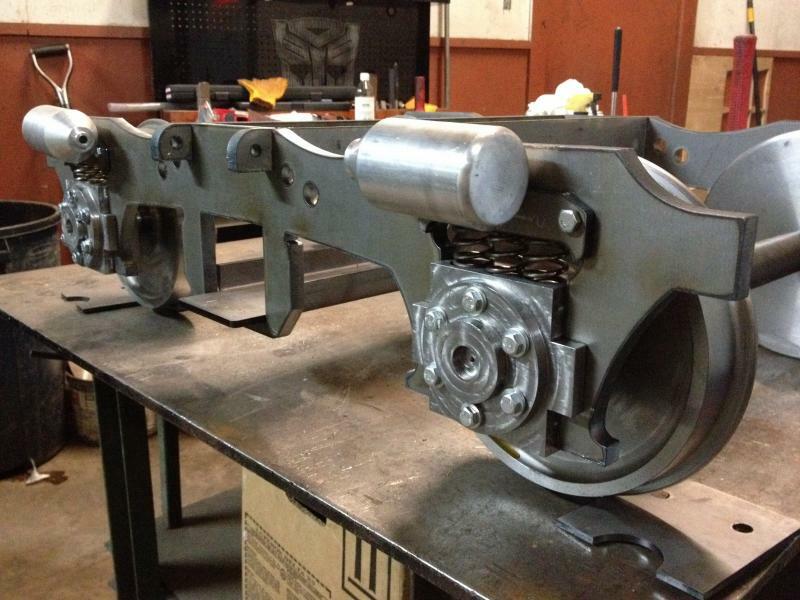 Wheels and axles complete for the Luguna Pacific's 8 passenger gondola, and 4 Passenger Caboose. Our 24" New Steam Outline is NOW AVAILABLE! 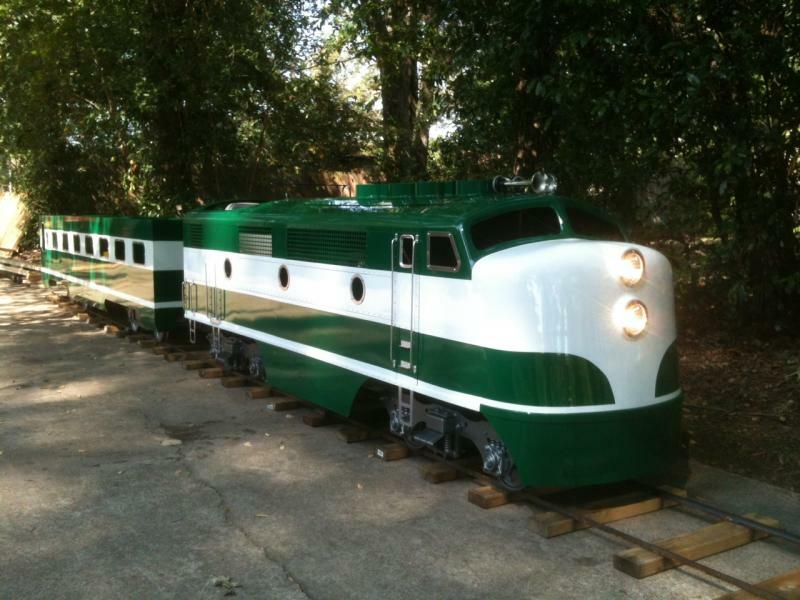 Our Quarter Scale F Unit Passenger Train is still a FAVORITE! 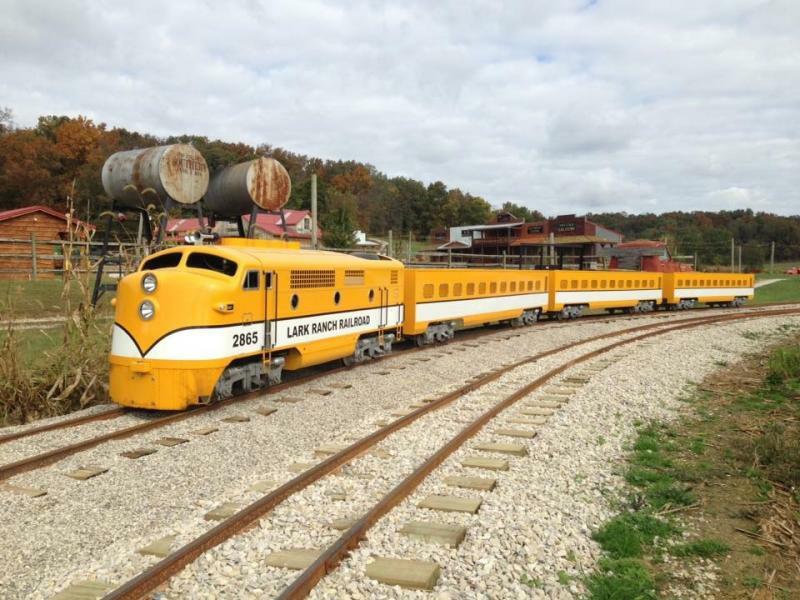 Click here to see a video of this train pulling a full load! Swannee River F3 poses next to an original MTC G16! 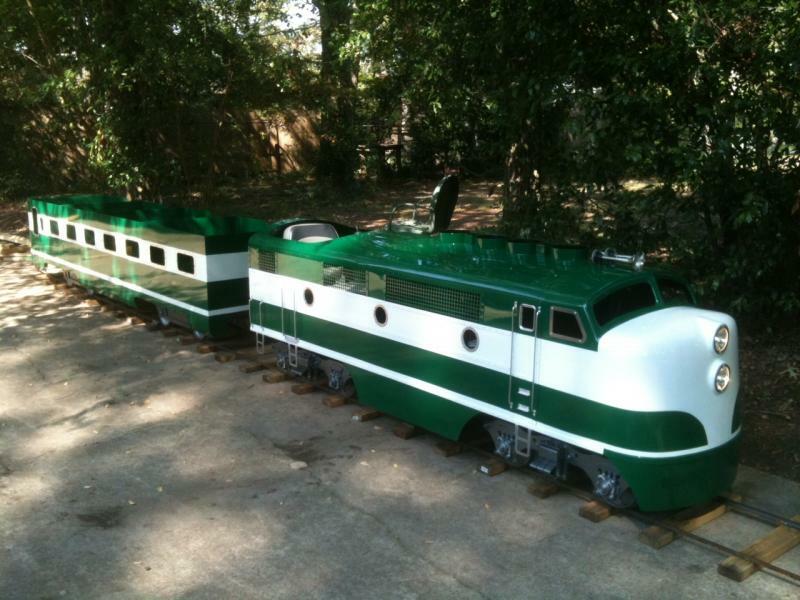 We build beautiful trains. My name is Todd Swan, and I am the owner of the Swannee River Railroad Company. I am asked frequently how I got into building trains. 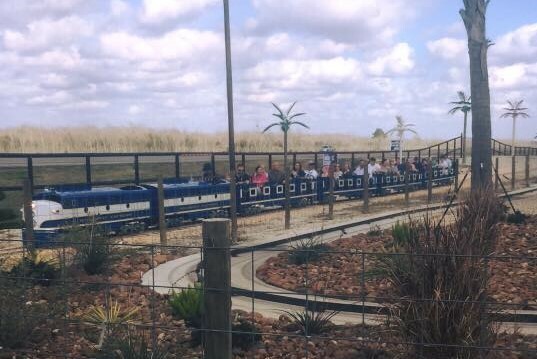 It all started from a dream I had when I was just a kid…to have my very own park train! You may be wondering about how we do this work. Well, it's actually been a complicated process. 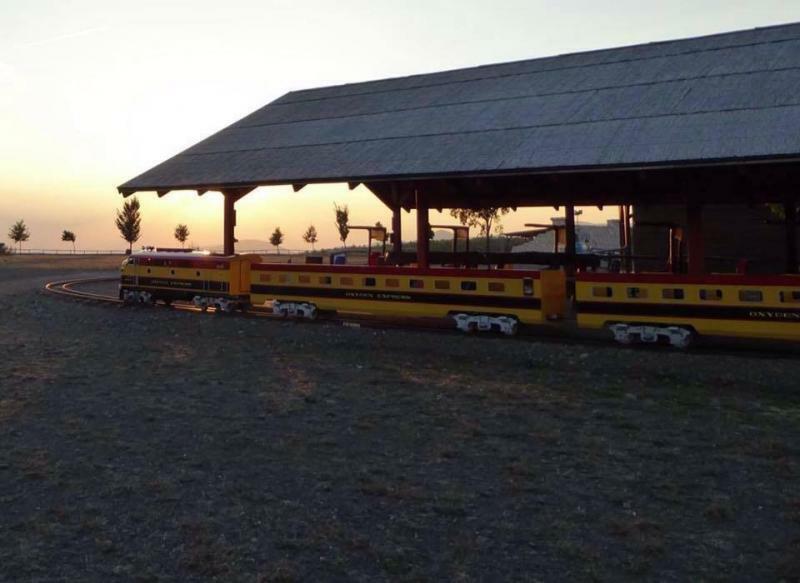 However, with a lot of help of friends and colleages in the railroad industry, I have developed prints and other designs that I created to build these wonderful trains. Most of the time consuming hard work is completed by subcontractors. These "subs" have the RIGHT equipment to do the job! 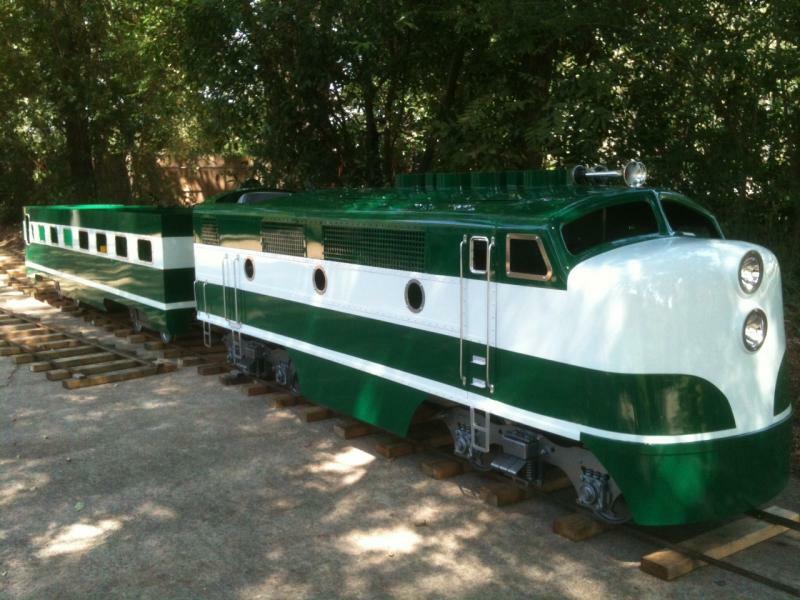 They only use "state of the art" CnC controlled equipment to build the various components of the locomotives and passenger coaches. I have found this is the best way. There is no shop or payroll to maintain. 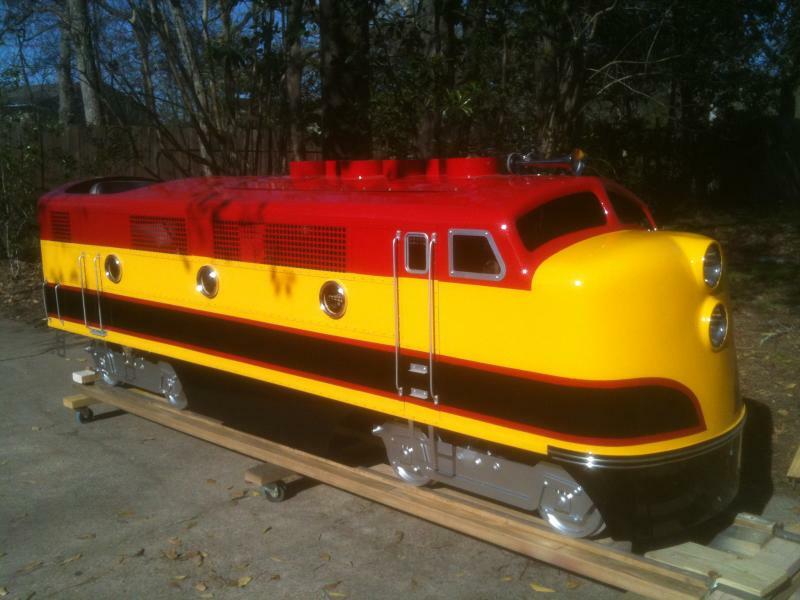 The contractors I use work with me to produce the parts needed to build your train. These parts are manufactured and then assembled like a huge model kit by myself insuring the quality of construction. 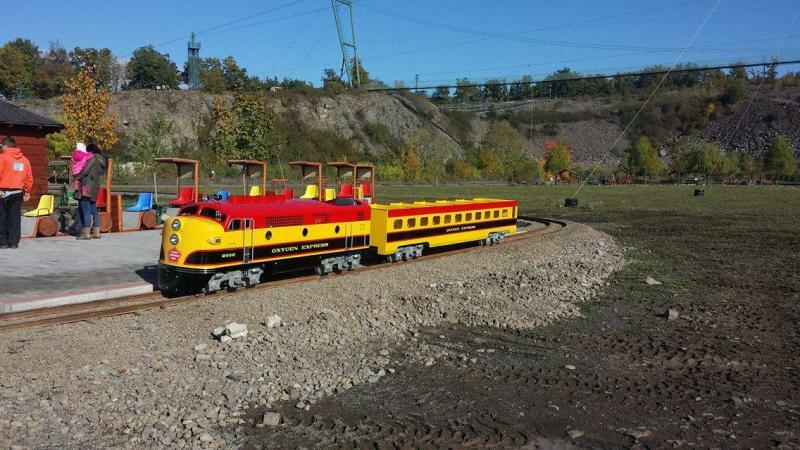 Once the components are assembled, the assembled locomotives and passenger cars are delivered to an automotive paint and body shop for final body work and painting. The last thing is applying the vinyl letting of your choice.